The Marshall Foundation has continuously supported ‘Dreams Indeed’ in Myanmar since late 2011. The NGO trains and supports a local grassroots organisation that provides education and basic healthcare to remote hill tribes in the country. It recruits teachers, who go to live in the villages, and who run community pre-schools in exchange for food and lodging. These teachers are amazing people, signing up to live in villages which may be anywhere from 2 to 24 hours walking distance from the next main road or town. There is no phone service available; the tribal locals often speak their own dialect; and the teachers, who have no salary, have to rely on the promise that they will be supplied with food. In the community pre-school, they teach young children to read and write their native language – the main Burmese language script – so that when they go on to primary school they are equipped with these basic skills. The teachers are also trained to recognise and provide basic treatments for common ailments, as well as teaching the villagers about hygiene and the installation of water filtration systems and toilet facilities. Such simple healthcare improvements have resulted in a decrease in the number of villagers dying from cholera from over 20 in 2012, to none at all in 2013. With funding from the Marshall Foundation, the NGO has trained the local staff with skills in project management and accountability, enabling them to assess the needs of each of the villages. It has brought the staff together in team-building retreats, and has helped them to develop tools and processes, which will help them to manage things more effectively as the extent of their work grows. 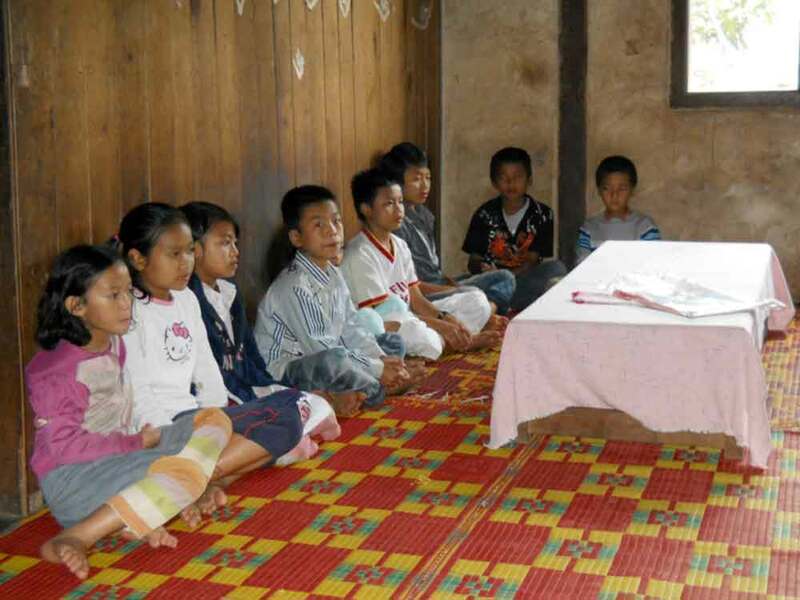 The Foundation has also provided key resources to the local team, such as mopeds and computers, that all help to make the life of the teachers a little bit more manageable.